Today’s date is the 12/12/12 and is apparently the last repeating date I’ll ever see which is apt as today is also my birthday!!! -4ºC this morning and very icy and to be honest it didn’t get much warmer as the day went on but at least there was no ice on the car this evening. 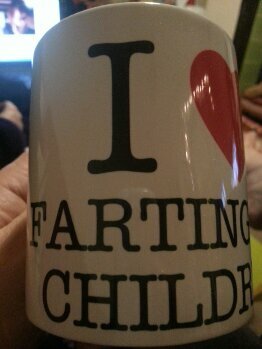 Lots of “nice” birthday presents including a delightful mug from eldest step daughter which reads I ❤ farting on children! 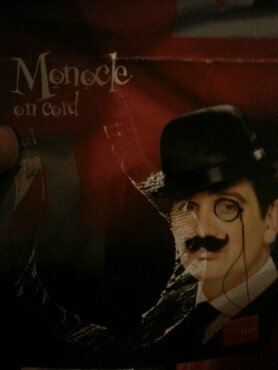 Oh and a monacle from Sarah but only a toy one although she did tell me she’d considered getting me a real one. I was cheered up by the number of people who posted Birthday wishes on my wall on Facebook, people who are close to me and people who are far away. People I’ve never met except online from as far away as California or Australia! It’s a shame that the people I work with seem to have largely forgotten or overlooked it – especially as they got a list of December Birthdays only 10 days ago – oh well no cakes for them then!! 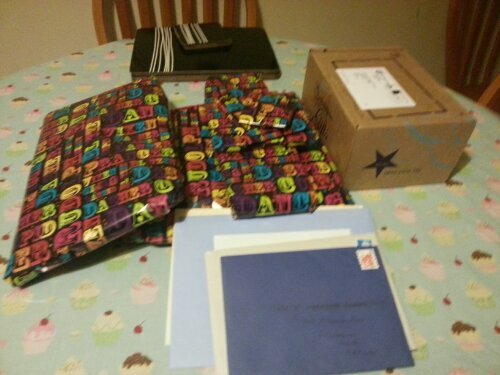 Oh and nothing from my brother who has his own birthday in four days time! !